Happy Clapper is the highest-rated entry so far among the 70 nominations for the All Star Mile. With a week to go before nominations close for the inaugural All-Star Mile in Melbourne, the $5 million race has already attracted entries from each state of Australia and also New Zealand. 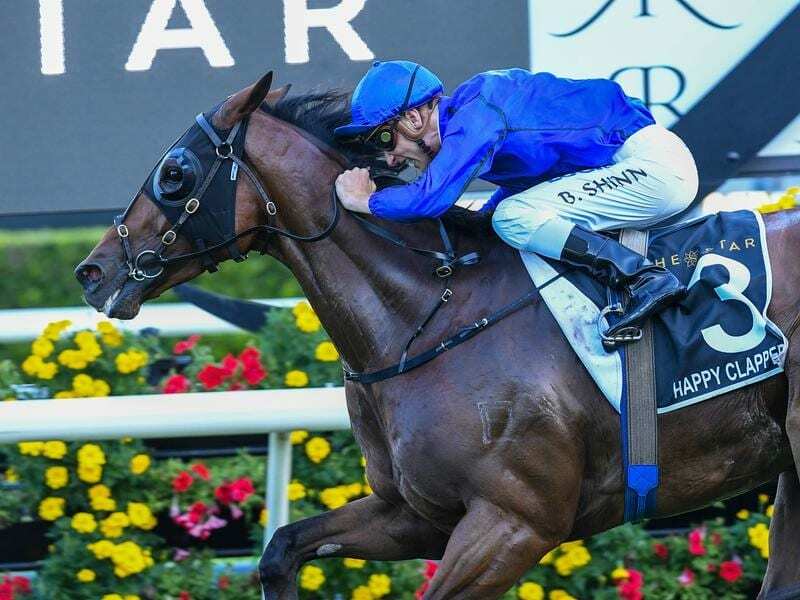 But some of the biggest stables in the country are yet to nominate horses for the rich race, with no horses from Sydney’s premier trainer Chris Waller’s stable or Godolphin’s James Cummings yet to be entered. Sandown Guineas winner Ringerdingding is the only horse from Victoria’s premier trainer Darren Weir among the list of 70 entries Racing Victoria released on Tuesday. Nominations close next Tuesday at noon. Ten of the 14 spots in the All-Star Mile, to be run at Flemington on March 16, will be decided by public vote with Racing Victoria to choose four wildcards to make up the final field. There are 12 Group One winners among the 70, headed by Happy Clapper, last season’s winner of Randwick’s two big mile races, the Epsom Handicap and Doncaster Mile. “It’s a unique mix of entries thus far which will make the public vote most intriguing,” Racing Victoria’s Greg Carpenter said. “Amongst the 70 entries received to date are established Group One milers like Happy Clapper and Grunt, dominant sprinters like Redkirk Warrior and Vega Magic, Oaks and Derby winners, 20 three-year-olds and six imports that are yet to make their Australian debuts. “We’re delighted to have received entries from each state of Australia which provides racing fans across the nation the chance to be parochial and vote for their local contender or choose to support their favourite horse. The public voting will run from January 21 to February 18.